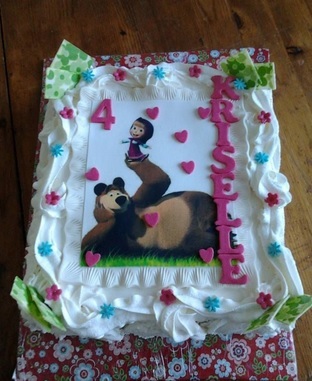 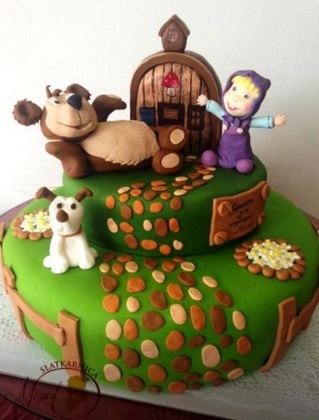 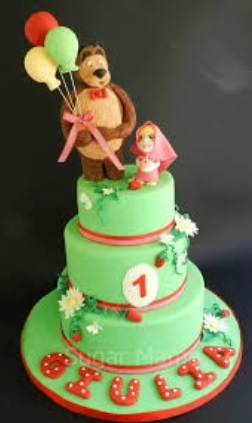 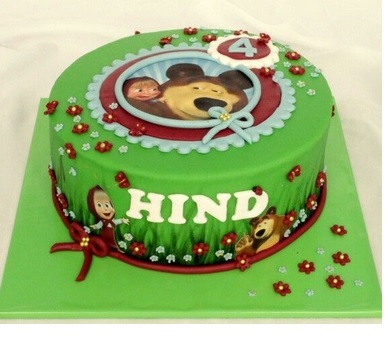 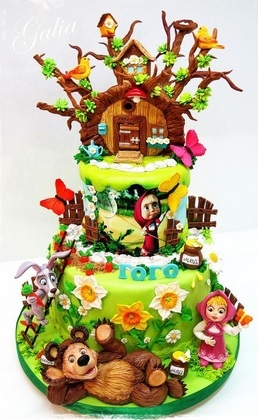 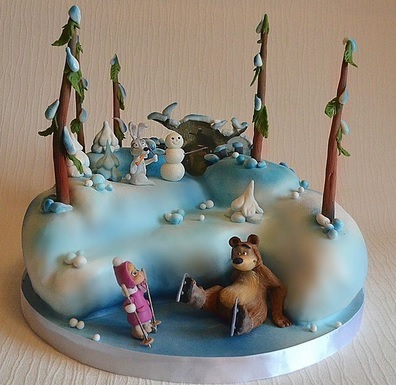 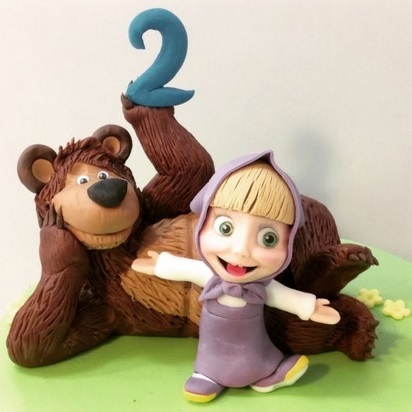 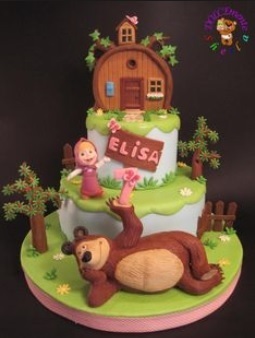 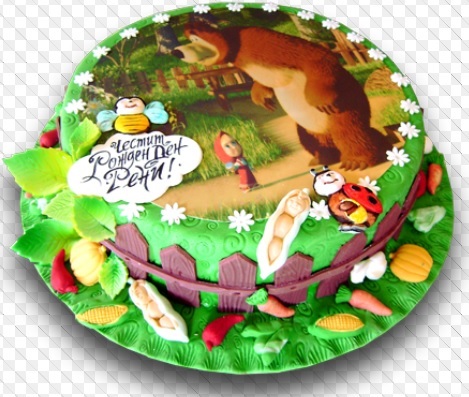 Masha and the bear makes a great cake decoration idea, it’s a massively popular and successful Russian made children’s cartoon that has now become a success in the UK where the voicing has been re-done from Russian to English. 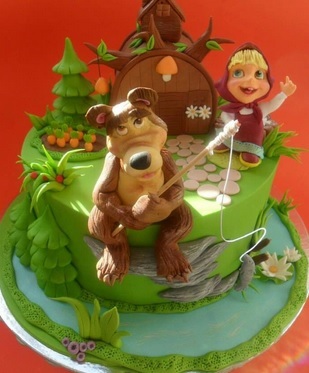 The story is about a very active girl (Masha) who get’s herself in to adventures and always causes mischief for the bear, each episode contains an amusing Masha and the Bear episode which the kids love to watch. 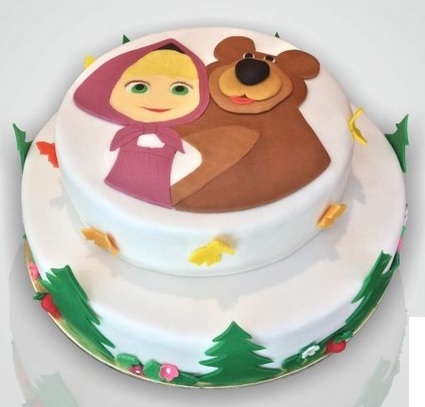 There are lots of nice Masha and the bear cake ideas, from character decorations right to making a cake shape of the bears house.